Well, I didn't think it was possible to wing it (pun intended ;) on this sorta recipe on the first try, but I did! I decided that I was going to try to make my own at home and make them taste good. Well, mission accomplished! From the very first test batch I had nailed the flavour and mouthfeel I was looking for. Naturally, I got on my laptop RIGHT AWAY, saved this as a draft, and the rest is now history as I share this deliciousness with you today. BUT GUYS, BEWARE!!! This recipe is SUPER easy to do and only requires a few ingredients. We need more recipes like this in our lives, right?!?! Plus, not only is it vegan and gluten-free, but it's paleo-friendly with a couple switches! BOOM (go your tastebuds as they light up in delight after you make these)!! Preheat oven to 400*F & line a baking tray/sheet with parchment paper. 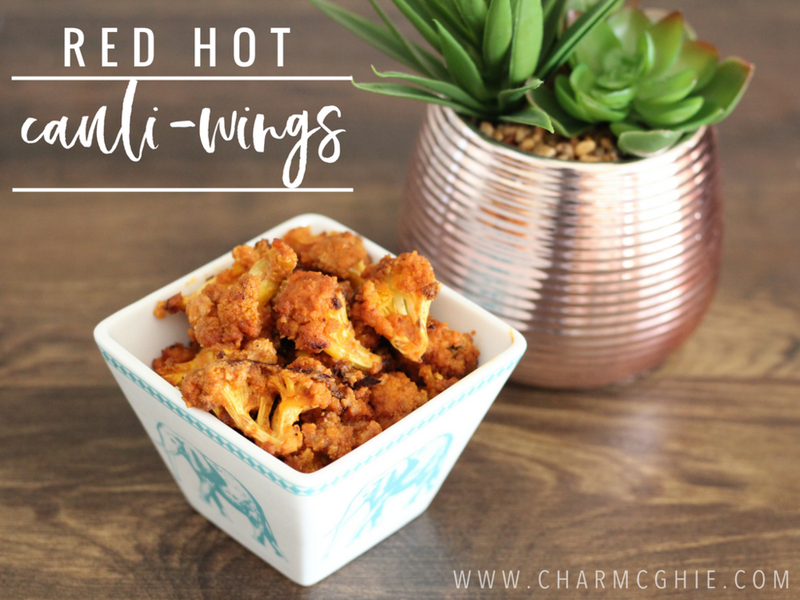 Combine cauli-coating in a small bowl and then wash + chop up cauliflower into bite-size wing pieces. Toss the cauliflower in the cauli-coating making sure mixture it on all sides, then evenly spread out in single layer on baking tray. Drizzle with EVOO (only lightly drizzle over the tray) and place in oven for 15-20 mins. While baking, prepare your cauli-sauce in a medium to large bowl (depending on the amount of cauliflower you have). Remove from oven when time's up. Your wings should be nice and crispy. Add your wings to your cauli-sauce bowl and toss to coat evenly, then place back on baking tray. Cook for an additional 5-8 minutes. BONUS: Make a super simple dipping sauce by combining vegenaise + a squeeze of lemon juice + chopped cilantro and/or parsley! Share with this sister if you give these a try. You can find me on Instagram HERE, or send me an email, or comment below! !